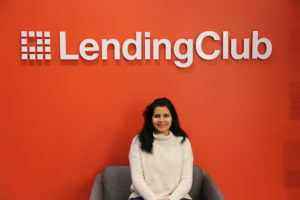 LendingClub is America’s largest online marketplace connecting borrowers and investors. We put our customers at the center of everything we do, empowering millions of people to meet their financial goals. Working in highly collaborative, agile teams, we’re defining a new industry. At LendingClub, you’ll have lots of opportunities to contribute, innovate, and advance. Current opportunities at LendingClub are posted on the right. Click here to visit LendingClub’s career page and learn more. Wondering what it’s like to work at LendingClub? Meet Romasha Tomar, who completed a Path Forward returnship at LendingClub and now works there full-time as a Software Developer. “I love my team at LendingClub,” she says. “I feel very lucky to have the kind and smart coworkers I do, including my lead, manager, and director…LendingClub has been a boon in creating an environment with clear expectations, mentorship, a strong support system, and flexibility.” Read Romasha’s story here.